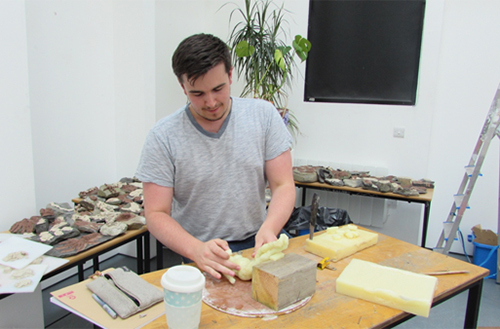 Aiden Bell-Smith was able to learn about casting glass in North Lands Creative in Scotland with help from the Mike Davies Innovation Scholarship. When returning to start his second year of BA Glass and Ceramics, Aiden felt he had lost out on valuable experiences in the glass field over the summer break, as he had been working at his previous seasonal job instead of looking for opportunities within the field. 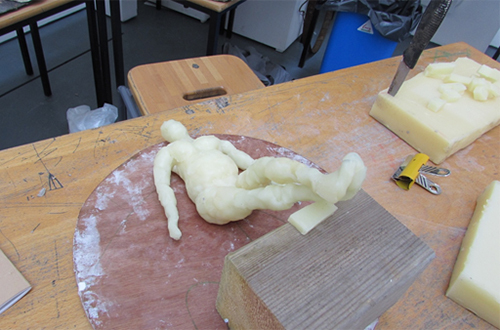 During the classes Aiden learned the processes needed for lost wax casting and gained lots of pointers from Alan, who is at the forefront of sculptural casting.